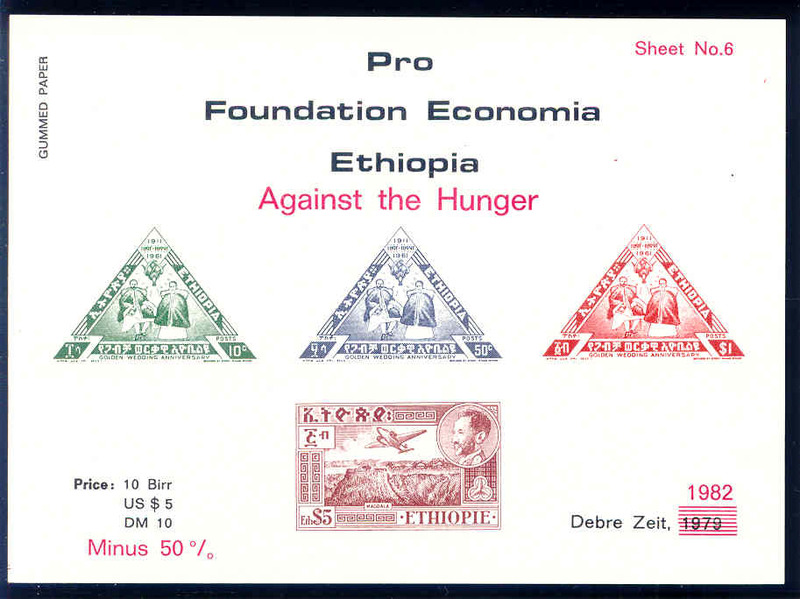 By now, any Ethiopian philatelist taking an interest in eBay has seen one or more offerings for the Pro Foundation Economia Ethiopia “charity” sheets. Moreover the astute eBay aficionado will have also recognized several offerings where stamps were knowingly or unknowingly cut out of these sheets and marketed as “proofs” or “unlisted imperfs.” According to EPS Librarian, Floyd Heiser, the only article written about them for Menelik’s Journal was prepared by Ken Doig. It appeared in Volume 5 in the fall of 1989. 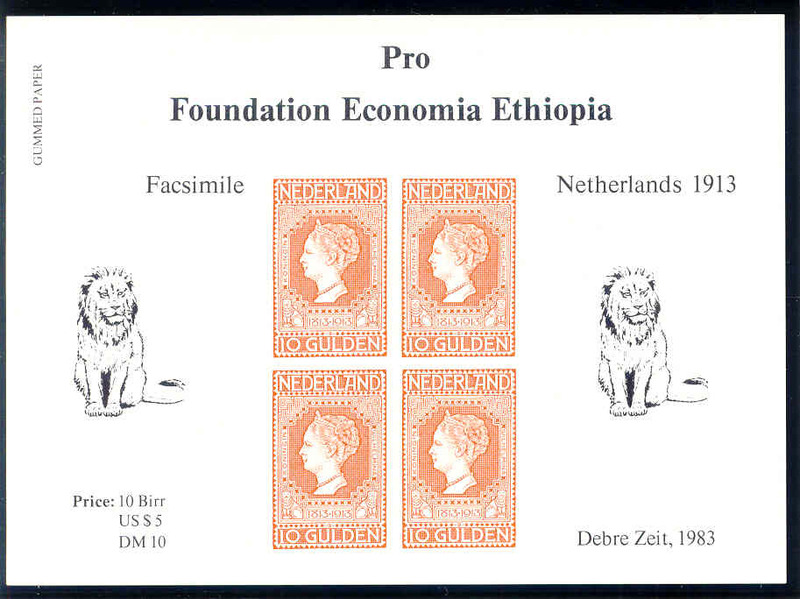 My interest in these sheets was rekindled after I found a letter from Dr. B. J. in den Bosch of Groesbeek, Holland, the founder of the Pro Foundation Economia, to a gentleman residing in Saginaw, Michigan. I suggest that the so called “charity” sheets were nothing more than a fraudulent vehicle for raising money - hence I believe them to be fantasy creations. Now for a bit of background. 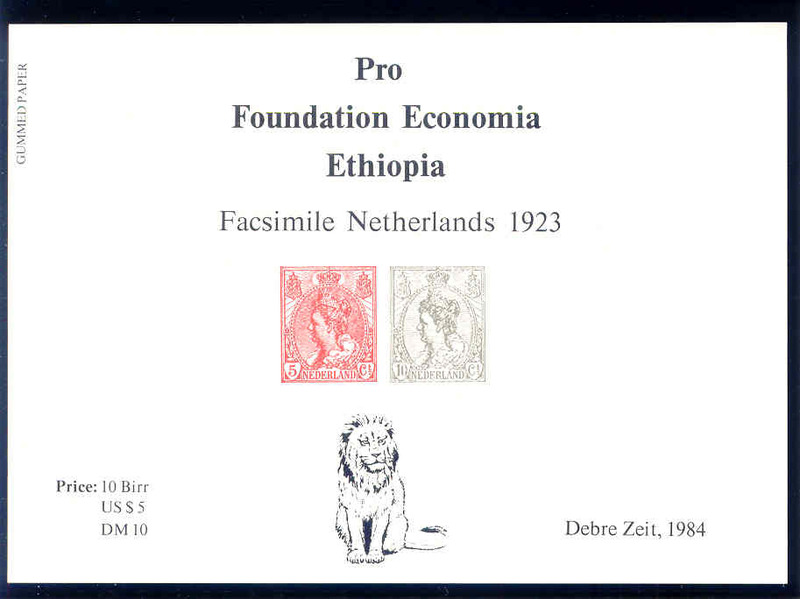 According to the records of the Central Bureau on Fundraising, the Dutch governmental organization that tracks such things, the Stichting Ethiopia Economia, also known as the Ethiopia Economia Foundation, was founded in The Hague on 26 August 1977 and was properly registered with the Chamber of Commerce. 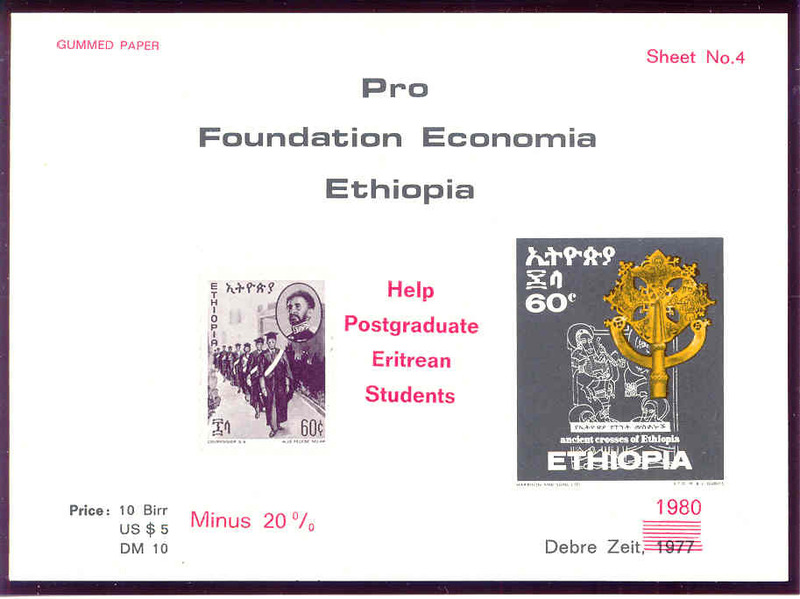 Its stated purpose was to offer educational aid or job placement assistance to Ethiopian graduate students, in Ethiopia or abroad, in economic and social science. 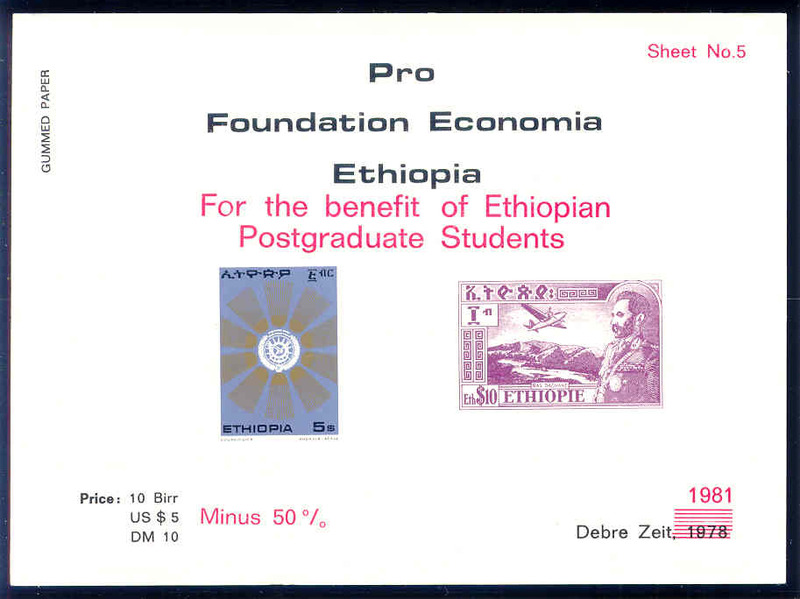 On 12 April 1984 the foundation’s charter was changed to aid poor Ethiopian as well as students. On 30 April 1992 the foundation was dissolved. The Central Bureau on Fundraising does not have a requirement that mandates reporting of money raised or actually spent by charitable organizations. The Central Bureau will, however, keep records of such activities if the information is voluntarily provided. The Stichting Ethiopia Economia never reported any financial matters to the Central Bureau during its 15 year existence. 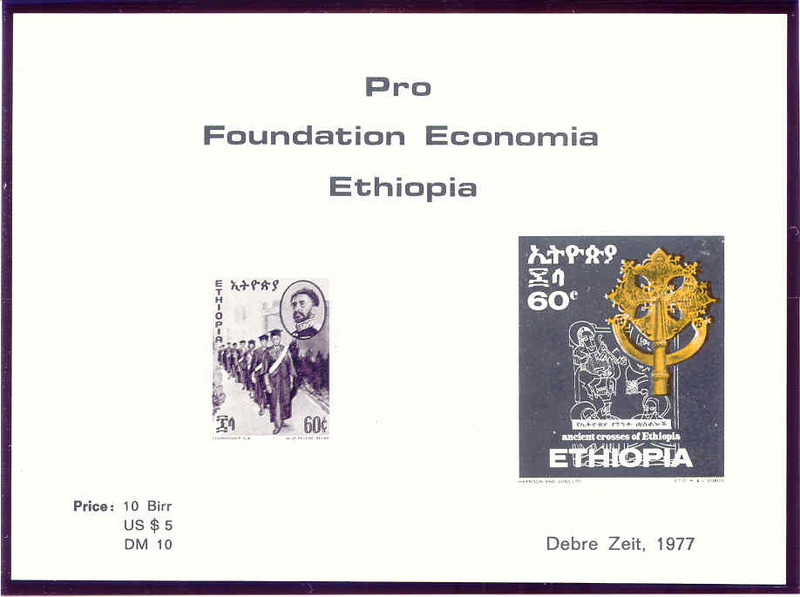 Ken Doig reported that the Foundation operated in Debre Zeit, Ethiopia from 1977 to 1980. In 1980, the Foundation moved its operations to the Netherlands. Dr. B. J. in den Bosch was the organization’s founder and director. · International Parliament for Safety and Peace, Italy, $80 cost includes eternal rubber stamp, nomination papers and passport. · Maison Internationale des Intellectuels, France. $120 cost includes a special identity book and buttons for your coat. · Commander-Knight or Dame of the Lofsensic Ursinius Order, $80 cost includes documents, an engraved medal and ribbon and an eternal rubber stamp. · Honorary Doctorate at the London Institute of Applied Research, $60 cost. · Honorary Doctorate at the Australian Institute of Co-ordinated Research, $60 cost. · Honorary Doctorate at the Academie des Sciences Humaines Universelles, Paris, $50 cost. · Honorary Doctorate at the Academia Universal de Humanidados, Buenos Aires, $50 cost. · Honorary Doctorate at the International University, Bombay, India, $60 cost. · Full accreditation at the International Correspondence Institute, Madras, India, $50 cost. · Professorship at the Haute Ecole de Recherche of the Alliance Universelle pour la Paix, Paris and Brussels, $80 cost for two professorships. · Knight of the Order of the Templars with diplomatic immunity, $100 cost. · Knight of the Holy Cross of Jerusalem, $60 cost. · Baron of the Royal Order of the Bohemian Crown, $100 cost. · Captain of the Military Order of the Aigle de Mer (men only, not for ladies), $60 cost. · USA Press Card, Press Sticker for your car and Press Photographer’s Card, $80 cost. I found two other unusual organizations associated with Dr. in den Bosch. The first one was the Bureau for Degree Promotion, Ltd. with the address, c/o Prof. Dr. B.J. in den Bosch, 17 van Wassenaerlaan, CS 4797 Willemstad, Holland. The Bureau may no longer exist, but its list of honors and degrees greatly exceeded the ones listed in this article. The second unusual organization was the World Language Process, Br. B. J. in den Bosch Chancellor, Hermelijnstraat 4,6562 LM Groesbeek The Netherlands. The WLP has an active website. Ken Doig reported that 1,000 of each sheet was issued. Sheets were priced at US$5 each. 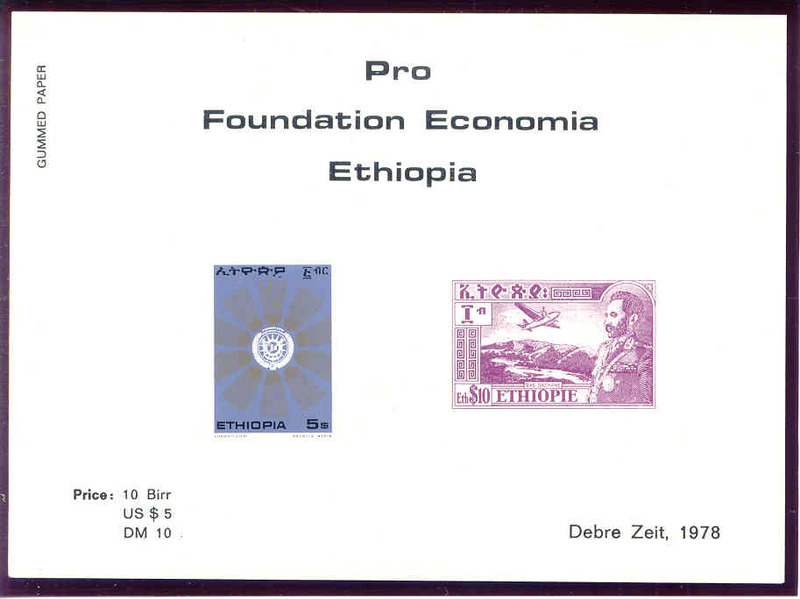 The first sheet was “issued” on 1 December 1977 at Debra Zeit. All sheets are 150 mm wide by 110 mm tall. Sheets were printed on thin white gummed paper stock. 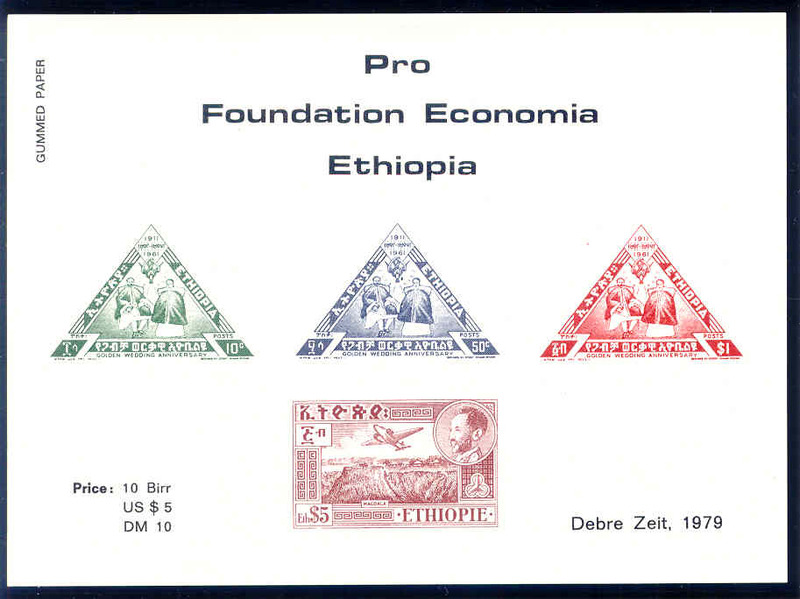 A total of eight different sheets were issued, one each year from 1977 through 1984.